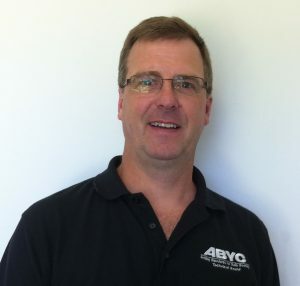 The American Boat & Yacht Council (ABYC) announced that industry veteran Craig Scholten has joined the standards-crafting organization as technical vice president. In this newly created position, Scholten will oversee the ABYC technical department and be responsible for ABYC’s relationship with the International Organization for Standardization (ISO) and compliance with Europe’s Recreational Craft Directive (RCD). Scholten will also be working with the membership department to help add value to new and existing members from a technical resource perspective. Scholten has 33 years of experience in the boating industry. He joins ABYC from Rec Boat Holdings, LLC, where he most recently served as production engineering/product compliance manager. In this role, he provided the global product compliance and certification of Four Winns, Glastron, Scarab, and Wellcraft boats and trailers. His additional industry credentials include: standards compliance specialist at the National Marine Manufacturers Association; product compliance manager at Outboard Marine Corporation; and director of product compliance at Genmar. He is also an ABYC master technician and served as the organization’s technical board chairman. To learn more about ABYC and the technical department, visit www.abycinc.org.